Why choose studying at the Faculty of Islamic Sciences? By enrolling at the Faculty of Islamic Sciences in Sarajevo, students have the opportunity to successfully continue education in a pleasant ambience, atmosphere and with the assistance of the appreciated and renowned scholars. 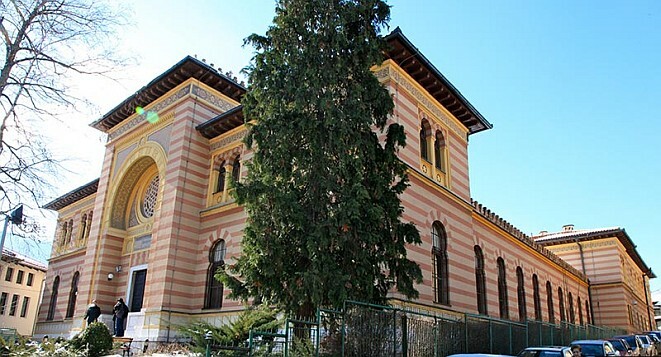 Studying at the Faculty helps the overall development and progress of the Bosnian-Herzegovinian society as a whole, especially in terms of affirming universal spiritual and moral values, and by debunking numerous stereotypes about Islam and Muslims in Bosnia and Herzegovina and the world. These goals are achieved through the authentic studies of Islam from the perspective of contemporary, impartial and scientifically objective thinking and science. The aforestated is to be achieved by acquainting students with the basic sources of Islam and their historical realisations in the Muslim thought and practice, especially considering the religious and cultural specifics of the Balkans. With its historical background, expressed in the architectural design of the building, the Faculty of Islamic Sciences is a symbol of meeting and mutual interweaving of the two worlds’ cultures – the European and Islamic. Hence, it seeks to study knowledge embedded in both Islamic and Western civilisations, as well as in the humanities and social sciences, which is in the function of a mission of humanism and a greater understanding between religions and cultures. First and foremost, it is important to emphasise that the diploma obtained at the Faculty of Islamic Sciences in Sarajevo is recognised by the most prestigious universities in the world and enables our graduates to continue their education. To date, from the first cycle of studies 1,187 students have graduated, 123 successfully defended their master’s thesis and 43 doctoral dissertations have been defended. The graduates from the Faculty, as religious officials and officials of various profiles and prominent cultural public officials, are actively involved in BH policies. We are proud to point out that our graduates perform the most responsible functions in the Islamic community (Grand Mufti, Mufti, professors and teachers, main imams, imams, muallims). However, they at the same time occupy numerous managerial and leadership positions in the society. A large number of our graduates are working as imams, hatibs and muallims outside Bosnia and Herzegovina, and as religion teachers in several countries of Western Europe. Continuous efforts are being made to increase the competencies of the Faculty graduates, but also to secure new jobs within the Islamic Community in Bosnia and Herzegovina.